Most of this standard focuses on the middle and high school levels, so just the portion that pertains to younger grades will be the focus for today’s post. The standard will appear in blue, and a summary of its ambient counterparts will follow. Mathematically proficient students consider the available tools when solving a mathematical problem. 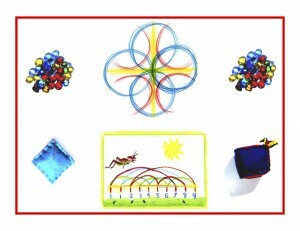 These tools might include pencil and paper, concrete models or a ruler. Proficient students are sufficiently familiar with tools appropriate for their grade or course to make sound decisions about when each of these tools might be helpful, recognizing both the insight to be gained and their limitations. Mathematically proficient students at various grade levels are able to identify relevant external mathematical resources, such as digital content located on a website, and use them to pose or solve problems. They are able to use technological tools to explore and deepen their understanding of concepts. Beginning at the end, a word about technology. It seems there’s currently a push to have every school wired and every student equipped with the means to learn independently through the internet, on pads and tablets. The road to the prospect of a teacherless classroom has already been set in place by having today’s teachers so preoccupied with data collection that attention to students’ needs and helping them apply their native talents and abilities has been given short shrift. The use of technology has become more widespread, even among pre-schoolers. A myriad of apps can be educational or simply engaging and entertaining, but the question of whether it’s appropriate or healthy for very young children to use technology is still an open one and up for debate. I remember my daughter at 2 or 3 staring open-mouthed at the TV, and my mother-in-law saying, “Mothers are so lucky these days. They get to use the TV to keep their kids busy.” At the time, it didn’t sit right for me in a general way, but with today’s additional information and widespread use of devices, I am clearer on why it doesn’t work. Having just seen the film “Her,” about a man and his OS (Operating System) who fall in love(!) with each other, I was chilled by this image: crowd scenes of people who seemed to be talking to themselves, but were actually communicating with other people (or with their devices) on their devices. Children (and the rest of us) need human connection. Is there anything sadder than a child trying to get a mother’s attention as she is zeroed in on a device? Sorry for the rant but it’s a big issue and it’s all of a piece, feeding into more and more automated, removed models of education. Back to the standard, beginning at the beginning: available tools for the Kindergarten would be rhymes and songs that are learned by heart with rhythm instruments to accompany them, all the learning materials suggested in earlier blog posts like natural objects used for counting (stones, acorns, shells), hand-made (with the children’s help) learning materials, like the counting flags, 3-D cloth models, sandpaper shapes, just to name a few. As the children use the materials made available to them in the Math Corner, they begin to see them as tools to solve mathematical problems, translating addition and subtraction to a written representation on paper, using operation signs appropriately. Having the various tools available in the Math Corner promotes a sufficient familiarity with them, and with a teacher or parent’s guidance, the child(ren) become better able to discern both the helpfulness and limitations of these tools. At the risk of going against a rising tide, I must say that young children using apps puts them at a disadvantage on many fronts. Children in the Waldorf school do not learn about, or on, a computer until they are able to build a rudimentary one themselves. The early grades are decidedly low-tech, with lessons learned first hand. The children create their own books, by recording each day what’s been learned in that day’s main lesson. And the human-to-human connection, child to adult, is always, always paramount. 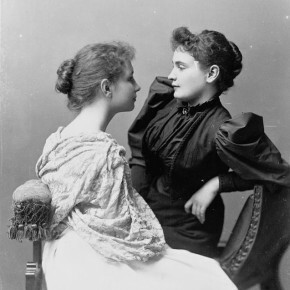 I will let Anne Sullivan, Helen Keller’s indomitable teacher, have the last word. She said, “The wrong things are predominantly stressed in the schools – things removed from the student’s experience and need.” “My heart is singing for joy this morning! A miracle has happened! The light of understanding has shone upon my little pupil’s mind, and behold, all things are changed!” “Children require guidance and sympathy much more than instruction.” Anne Sullivan is called a miracle worker, but it is no more miracle than any teacher or parent can create with his or her child(ren), if but left free to find the right relationship to education and the child. Knowledge ensues in an environment dedicated to imaginative, creative knowing, where student and teacher alike surrender to the ensuing of that knowledge as a worthy goal. Tune in tomorrow for the Kindergarten Standard for Mathematical Practice #7.